The first things that come to mind when you think about winter dangers for elders are probably falls and hypothermia. But the reality is that your elderly loved ones are far more at risk for invisible, lesser known hazards. 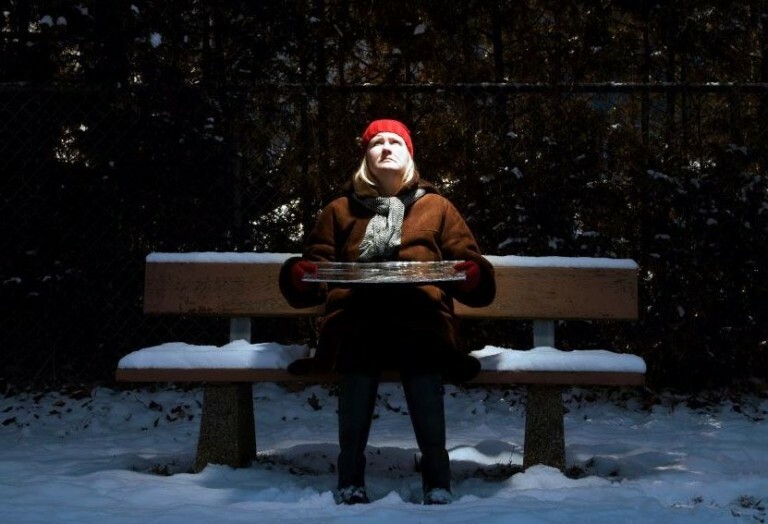 Seasonal affective disorder and vitamin D deficiencies affect thousands of senior citizens every year and can often be quite insidious to their health. The good news is, if recognized and treated in a timely fashion, they can be dealt with quite easily. Seasonal Affective Disorder, often known by the very appropriate acronym SAD, is a form of depression that cycles with the seasons. It can occur any time of year, but it usually hits people hardest in the winter. As the weather gets colder and the days get shorter, people affected by SAD will start to feel the symptoms of depression, including a loss of energy, an increased appetite, and a worsening feeling of lethargy and tiredness. According to the National Institutes of Health, SAD is more common in women and people who live in northern areas where exposure to the sun isn’t constant and where sunlight may not be as strong. The effects of SAD can be compounded if the individual is stuck indoors and doesn’t have the chance to get outside often – a problem that disproportionately affects the elderly population. SAD can be treated with antidepressants but many choose to forgo additional medications in favor of alternative treatments like light therapy. Light therapy uses a light box: a fluorescent lamp that gives off light similar to natural sunlight. The light box helps to decrease the amount of melatonin (a hormone that causes drowsiness and lethargy) in a person’s body and regulate the neurotransmitters serotonin and epinephrine. Correcting that imbalance can relieve the symptoms of depression. Vitamin D deficiency is another winter hazard to be on the look-out for. Vitamin D is a vital nutrient that helps promote bone health, and has been proven to be effective in cancer, incontinence, and diabetes prevention. Most people get Vitamin D by eating certain foods (salmon, egg yolks, beef, etc.) and by getting regular sun exposure. When winter rolls around, the sun becomes weaker and it can be tougher for elders to get enough exposure to produce vitamin D. Seniors who don’t get enough vitamin D are at increased risk for developing osteoporosis. The best way to treat a vitamin D deficiency is by making sure your loved one is eating enough of the right foods – certain types of milk, yogurt and juice are all great choices to reduce or prevent a deficit. Multivitamins may also be a viable option, but check with a doctor first. Need advice on identifying winter hazards efficiently? Freedom Home Care can help. Give us a call today.